The original version of my TOU connected by wire to the leverframe. 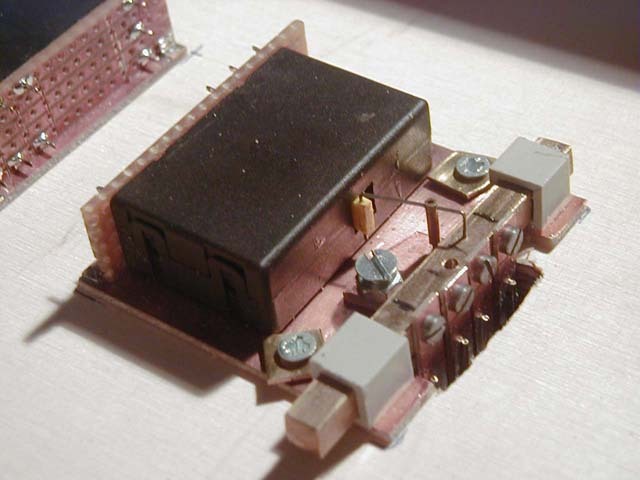 The mounting of the microswitch is not characteristic here due to available space. A more modern version under test using a relay. 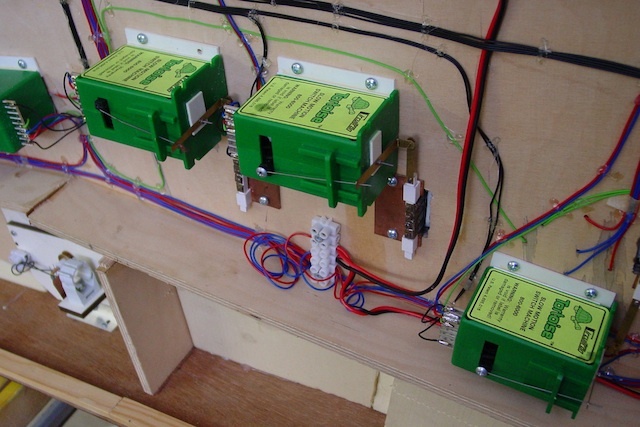 This one is for a double slip showing 4 individually adjustable strips of pcb each with a .8 mm tube. The end of the tubes are visible here. The relays have been replaced by a Tortoise motor. A more recent version of my TOU connected to a Tortoise. Shows how to fix Tortoises when the depth of baseboard is less than the height of the Tortoise. This shows the top view of the lever in unpainted condition, with 2 rods connected to a tongue each. The rods are soldered to a tiny piece of pcb. One of these rods is connected to the lever. 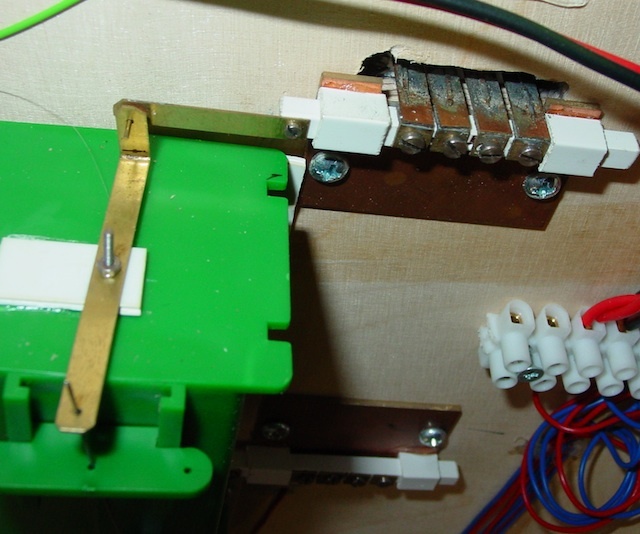 The pin is connected to a below baseboard microswitch. Blown-up side view. This is a N-gauge / fiNe scale compatible point that is why the gaps are very large.The crossing gap is filled so that the fiNe-scale wheels don't drop in the overwide gap when in fiNe scale use. Here you see the crossing. Only right hand side is N-gauge with a adjustable point gap by a movable check gauge.